NORTHERN CALIFORNIA (USA). 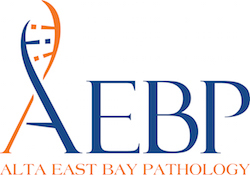 Alta East Bay Pathology (AEBP) is a well-established private practice group of nine board-certified, experienced anatomic and clinical pathologists providing a full spectrum of services for three hospitals in Berkeley, Oakland, and Castro Valley. AEBP is seeking an AP/CP board certified pathologist with strong surgical pathology skills. Surgical Pathology fellowship, subspecialty training, and prior experience with independent sign-out are preferred, but not required. Desired subspecialties include Dermatopathology, GI pathology, Soft Tissue, and Gynecologic pathology. AEBP prefers a starting date as soon as possible. Salary will be commensurate with experience. Alta East Bay Pathology, Inc.
NASHVILLE, TENNESSEE (USA). The Department of Pathology, Microbiology and Immunology at Vanderbilt University Medical Center seeks a board certified academic surgical pathologist with fellowship training and/or expertise in bone and soft tissue pathology. Strong interest in dermatopathology is also desirable and can be the primary focus with secondary bone and soft tissue interest. Gastrointestinal pathology is also desirable. Candidates need to be eligible for medical licensure in the state of Tennessee and, depending on qualifications and experience, could be eligible for appointment as an Assistant, Associate, or Full Professor on the Clinician Educator track. The Department has a strong and diverse faculty, excellent training programs, and provides a very supportive atmosphere for practicing subspecialty academic anatomic pathology. The successful candidate is expected to be a high-performing, dynamic, and data-driven individual with strong communication skills and a commitment to excellent patient care as well as to colleagues and trainees in the department and institution. Located in the heart of Nashville, Tennessee, Vanderbilt University Medical Center (1,019 beds) is one of the nation's leading research and teaching institutions with undergraduate medical programs contiguous on the same campus. VUMC is experiencing expansion in many areas with a top 20 cancer center, multifaceted organ and stem cell transplant programs, expanding educational programs, and myriad opportunities for clinical, translational, and basic science research. Nashville, the capital of Tennessee, is a growing cosmopolitan area with a population exceeding 1 million, diverse entertainment, excellent schools, and ready access to outdoor activities. James S. Lewis Jr. M.D.